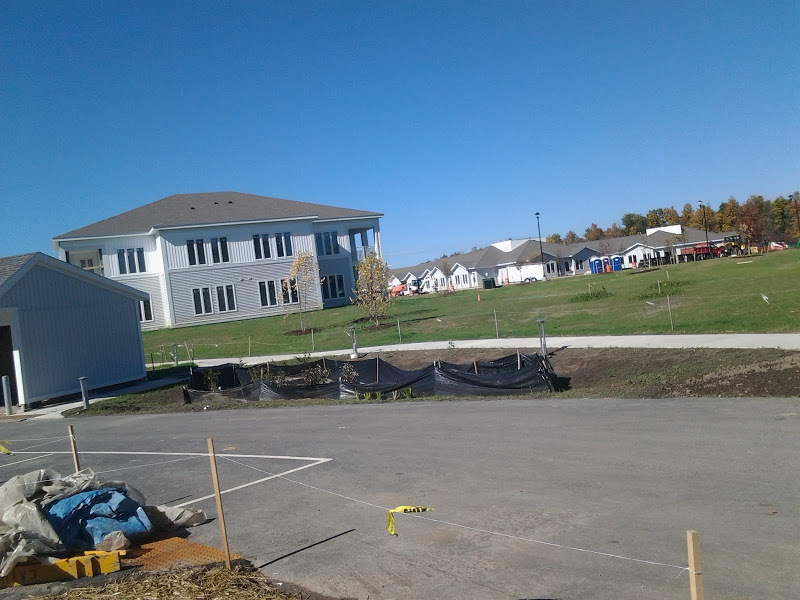 In Cayuga Heights, work is ongoing at the Kendal at Ithaca site as the project marches steadily towards its January 2016 opening date. The senior apartment wing is nearly complete, with just some minor exterior trim (balcony railings) and facade work left. 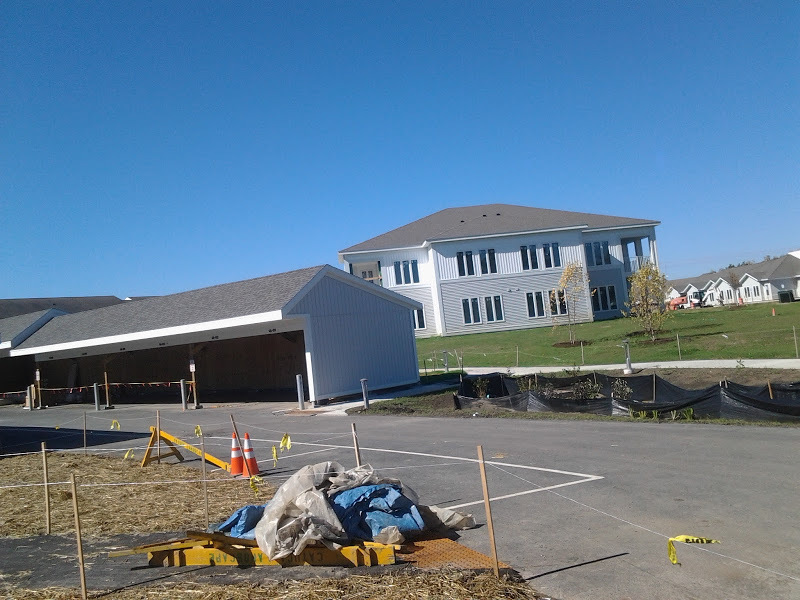 New garages have been built for future tenants of the apartments. 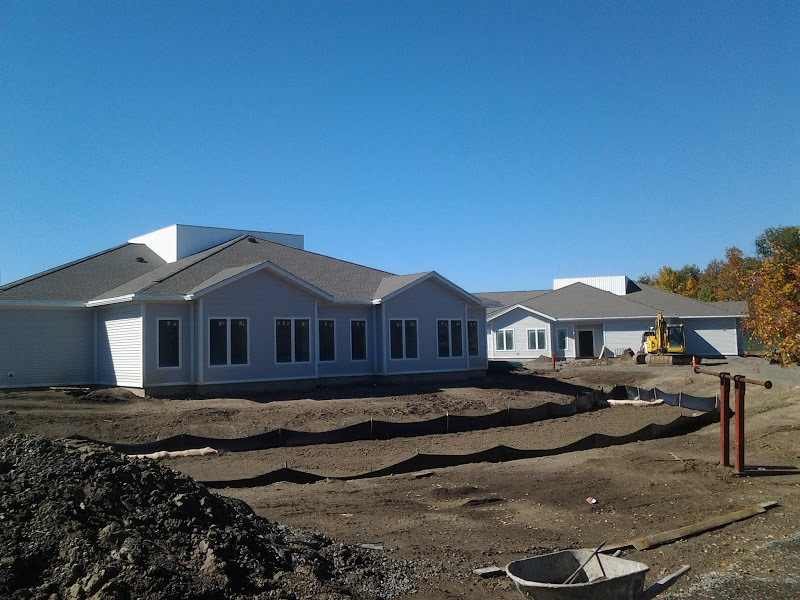 The skilled nursing facilities are largely finished from the outside, but are missing the decorative roofs and trusses, which will be installed later this fall. At least from the outside looking in, the new entrance circle/porte-cachere (photos four and five) looks like it has the most work left on its to-do list – windows have been fitted but the new entry and second-floor administrative offices have yet to have trim or facade materials installed. However, given that’s it’s one of the smaller additions, the project should pose no huge hurdle moving forward. 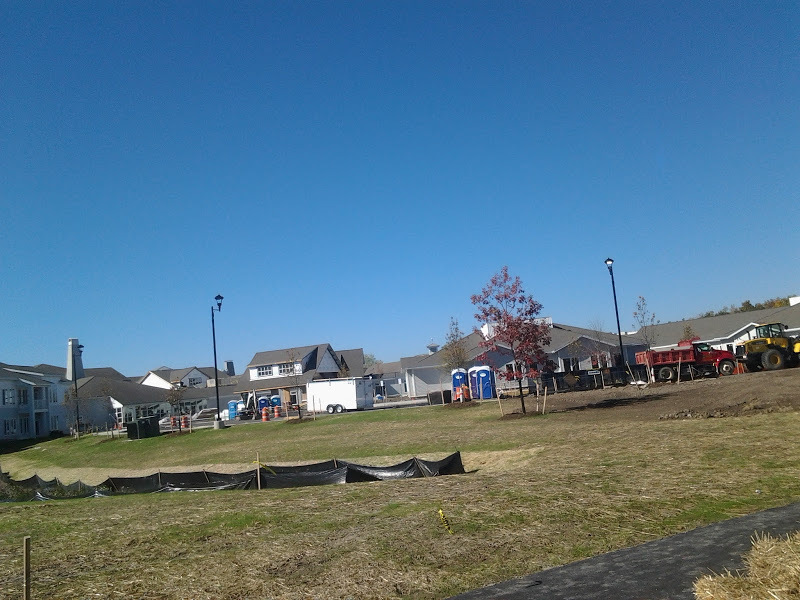 With the January opening date, landscaping work may not finish until the spring, when new trees and grass seeding can be done without fear of inclement weather. 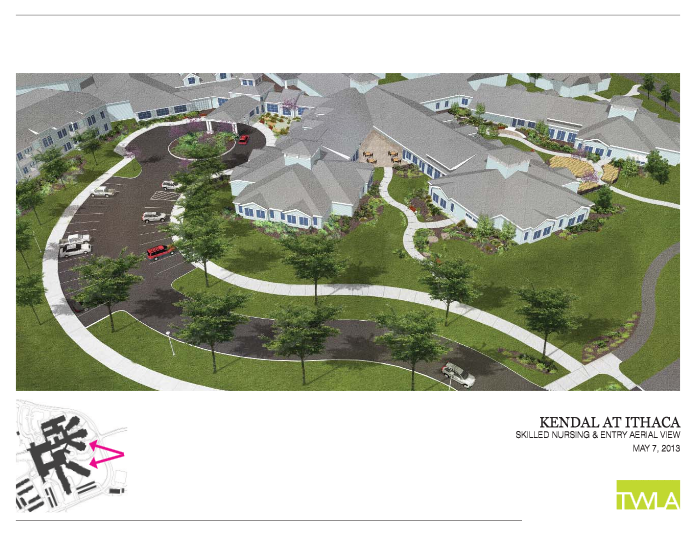 Kendal at Ithaca is currently in the midst of a $29.3 million expansion. 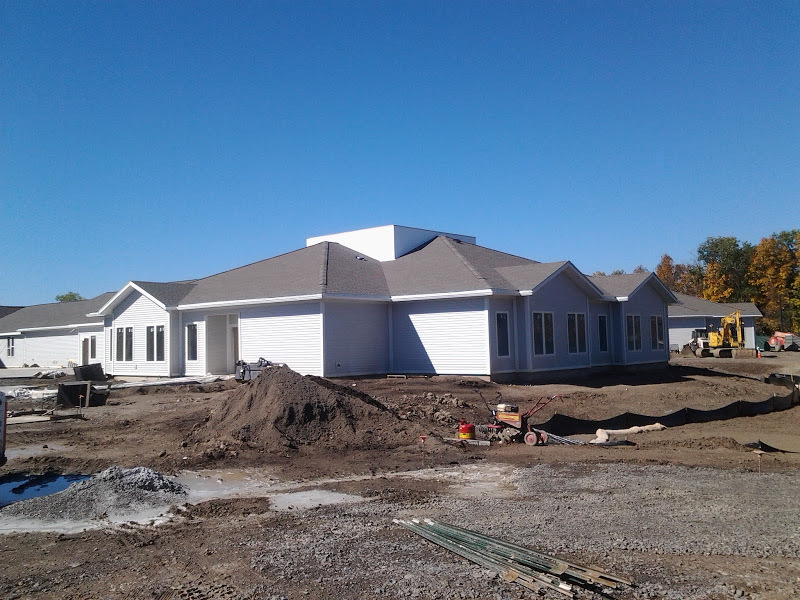 Three new wings will be built on the northeast side of the property as part of a new 48-bed skilled nursing center, an increase from the 35 beds currently available. 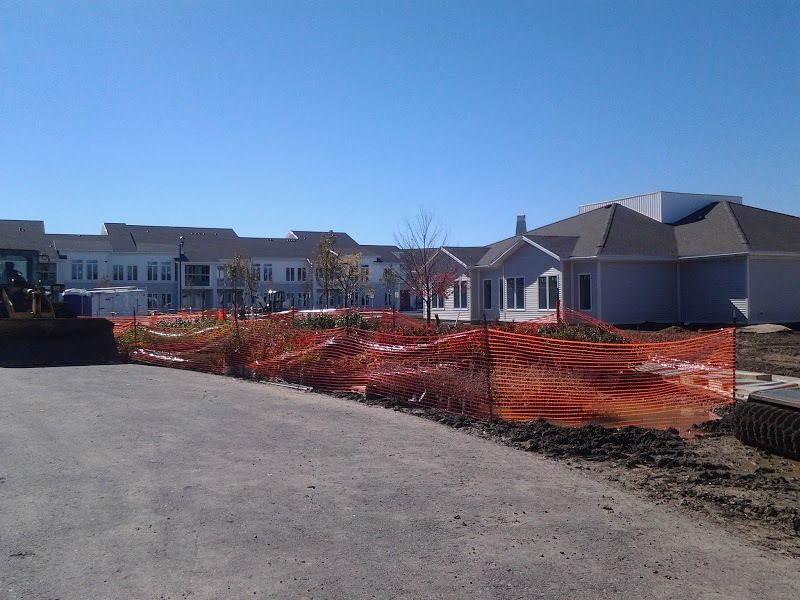 On the southeast side of the complex, a new 2-story, 24-unit apartment wing is being built for independent seniors (16 one-bedroom, 8 two-bedroom). 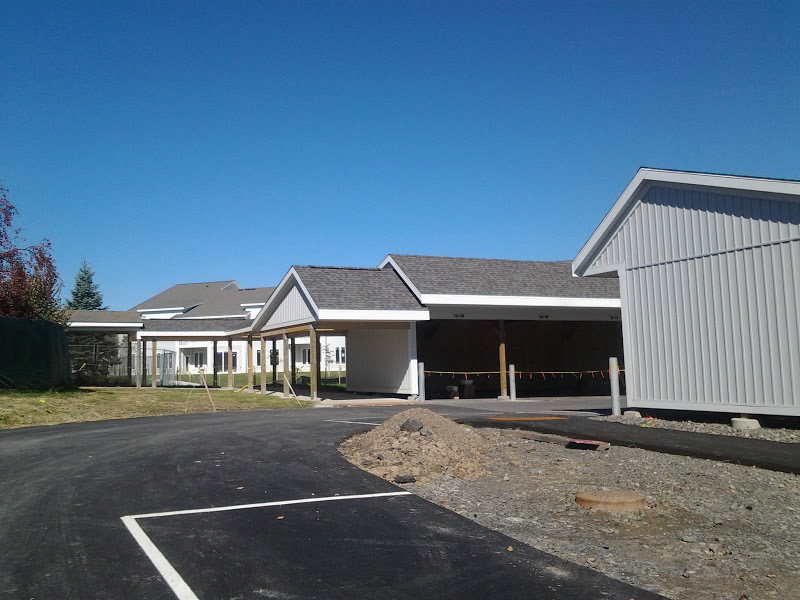 A new entrance, cafe, fitness center, and health center are also included in the additions, as well as major interior renovations. Landscaping additions and a 26-car parking lot are also planned. The construction project is aiming to achieve LEED Gold certification. 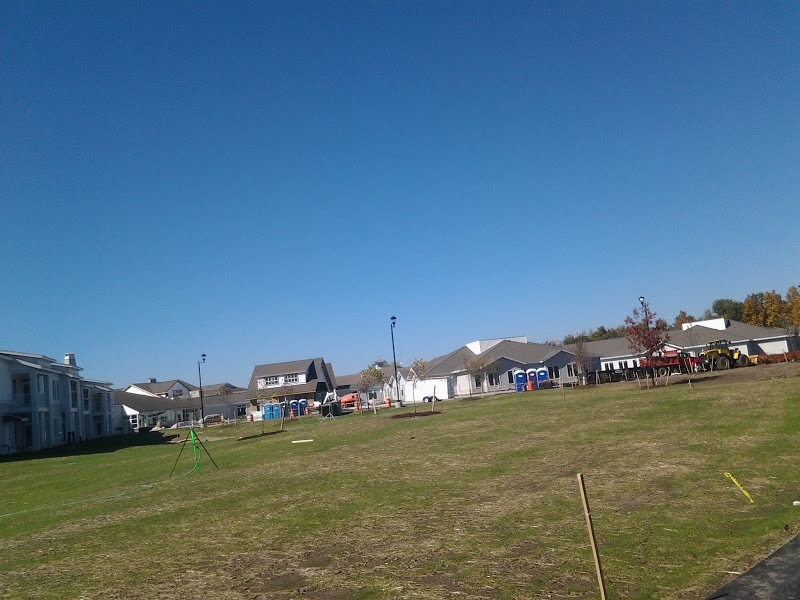 Construction began this past January. An estimated 20 to 25 new jobs will be created by the expansion, most of those in service positions that pay $24-$45k. The Kendal website seems to sidestep the discussion of costs, but a New York Times piece from when it opened in 1996 stated the entry fee was about $80,000 for a single person in the smallest unit, rising up to $267,000. Strictly calculating from inflation, the entrance fee may start around $120,000-$125,000 today. With the exception of maybe the last shot, which is a rendering (telling), this looks like a pretty grim place to retire. As a matter of personal opinion, I think it’s rather outdated conceptually (then again, the average resident must be well into their twilight years), but there must be some kind of demand at the top of the market for them to have moved forward with the expansion. I do get the occasional email pushing me to write more about the need for senior condos in walkable areas, but I always get the same response from developers – banks don’t want to finance condos, senior or otherwise. Too risky in upstate, I guess. So Ithaca is effectively redlined out of attempts to foster inclusive urbanism! Depressing.